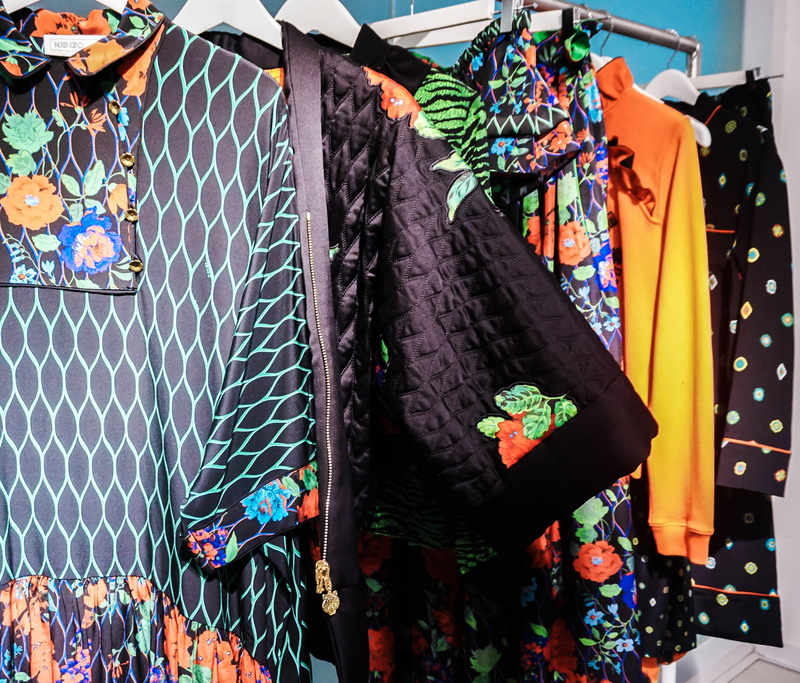 The first glance of the Kenzo x H&M collection was nothing but terrifying to me! The first question I had on my mind was "who would actually wear those out on normal days?!" Well, that until I personally had a feast in my eyes looking through the entire collection by myself during the media preview session. 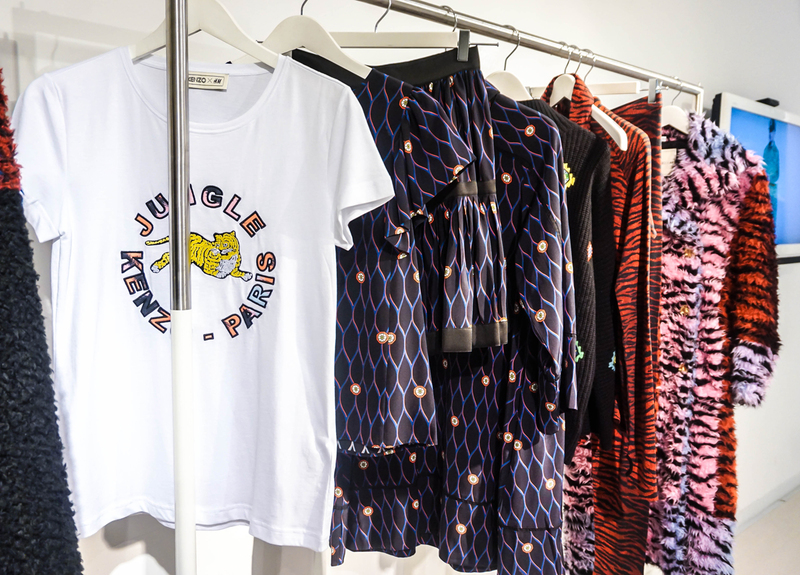 The collection is extensive and totally screams KENZO - featuring many bold prints, the collections has a great influence from many of the important KENZO archive pieces, and with most of the pieces making a very special style statement. If you ask me, it's all about finding the perfect statement piece for yourself I was kinda surprised to find most of the pieces are actually quite affordable and don't you even try to give a doubt on its quality! Each and everything is so comfortable to put on; making oneself looking fashionable in a second; easy to add a splash of color to your daily outfits; most importantly most of them are actually wearable on daily basis too! I myself not fancy the statement outfit-of-the-day right to your face kinda person, but hey, I actually found the perfect statement pieces that I know I would wear it often! For example, we have two outerwear here - the Reversible Silk Kimono and the Pile-lined Leather Jacket. It's super obvious that my personality didn't match quite well with the gorgeous reversible silk kimono. For those who in love with this piece, I know you're going to love how you can wear it in two different ways as it has two different patterns on each side. On the other hand, the pile-lined leather jacket is totally loved by many, for it has a splash of color added in the plain black color. I am super in love with this Sleeveless Wool-blend Dress from the collection. Even my friends said this is just SO me! It's sturdy and slightly heavier than normal dresses, the tiger-striped pattern isn't too much with the added stripes at the bottom line of the dress, and totally adore the hips part with a wide, crocheted flounce. For the first look, I couldn't help myself by pairing with my love at first sight - Tiger Striped Ankle Boots - from the collection too! It's super comfortable and tell me how to not love the details of the platform itself?! Of course, if you think this is too loud for the entire outfit, feel free to switch to your favorite black boots! Not to forget, the Patterned Scuba Pouch from the men's section under the same collection! The pouch bag is in thick scuba-look fabric with a different printed design on each side and leather details. For the second look, I put on this Silk Blouse with Beading and pair it with this statement piece - Reversible Silk-Blend Skirt from the collection. The blouse is made of mulberry silk and super comfy like other pieces. Talking about the details, the collar with ruffle underneath and with a beaded tiger on each collar point, definitely not your boring kinda plain black blouse! The maxi skirt, though, you actually get two designs for the price of one - that's because it's reversible and you can dress up and down depending the way you matching it with your outfit. Since I already have one statement piece for this look, I opted for the plain white Small Leather Shopper bag to complete the look. 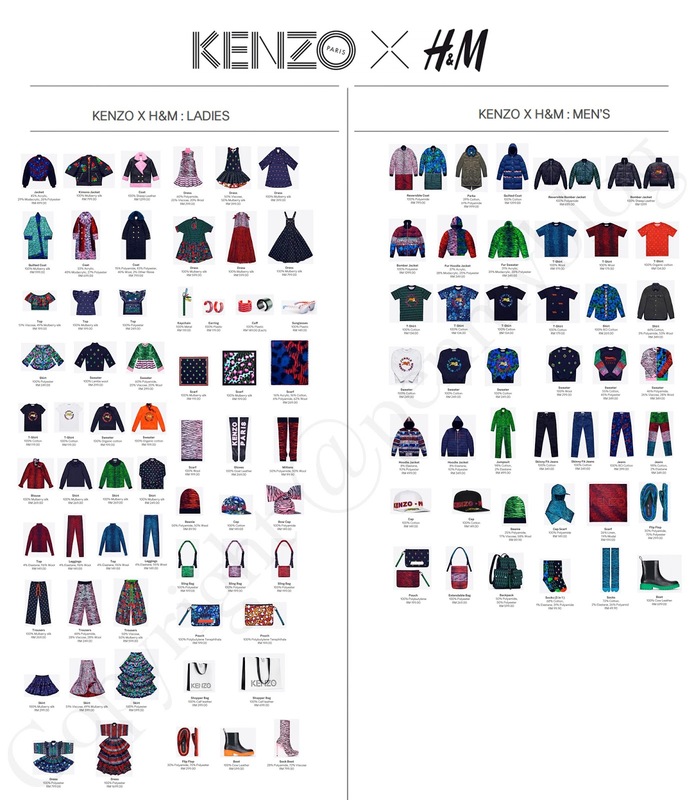 The entire Kenzo x H&M collection was launched on the 3rd November and available in both Lot 10 and Avenue K outlet. 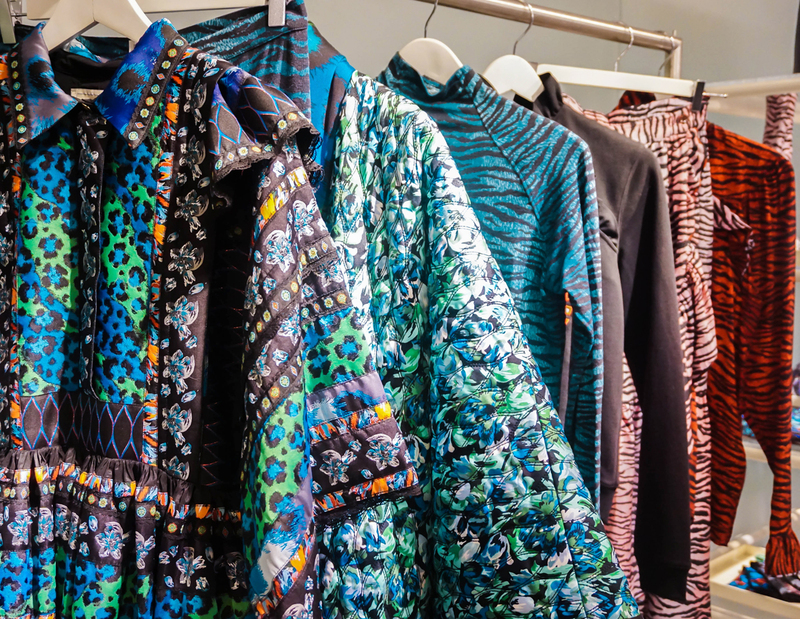 What's your favorite statement pieces from Kenzo x H&M collection? the boots is so gorgeous!! !